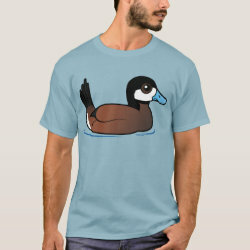 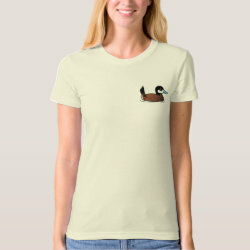 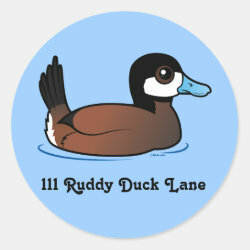 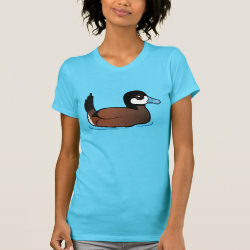 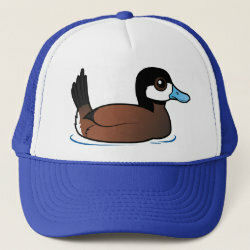 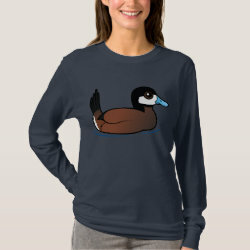 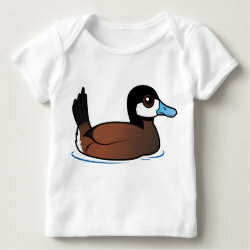 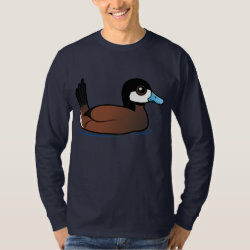 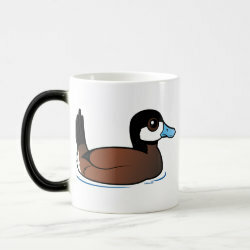 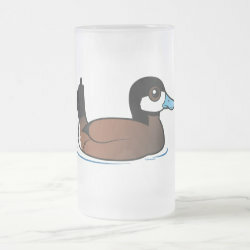 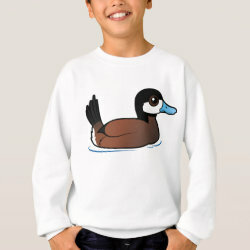 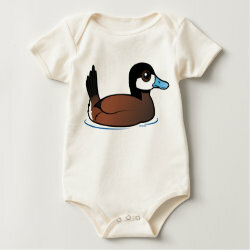 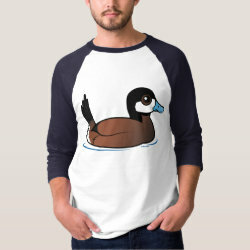 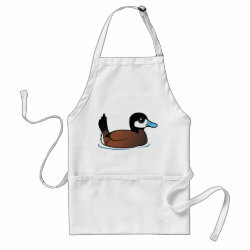 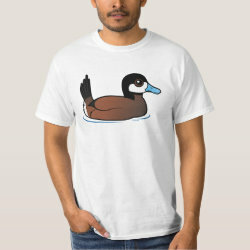 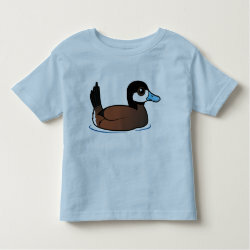 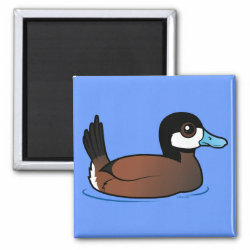 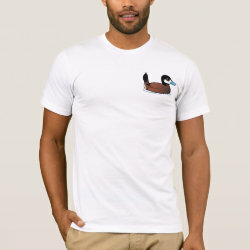 The Ruddy Duck is a stiff-tailed duck that lives throughout North America. 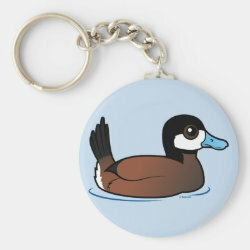 It nests in dense marsh vegetation near water. 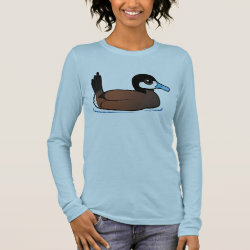 They dive and swim underwater to look for seeds and roots of aquatic plants, aquatic insects and crustaceans.